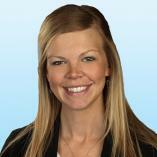 As an Investment Analyst, Jennifer plays a role in the sale process of investment real estate from start to finish. Some of her main duties include producing broker opinion of values, ARGUS DCF modeling and analyses, creating offering memorandums and teasers, investor research, and coordinating due diligence. In addition, Jennifer is also responsible for tracking cap rate data and sales comparables as well as creating quarterly investment market reports, investment updates, and property-specific marketing pieces.